In my mind, I didn't think there was any confusion of what velour and velvet are. However, I came across an online store that labeled its garment as velour velvet. Once I stopped scratching my head trying to figure out how that came to be. I came to a realization. I do think this retailer knows the difference between the two. I also believe the retailer is trying to mislead people who do not know the difference. 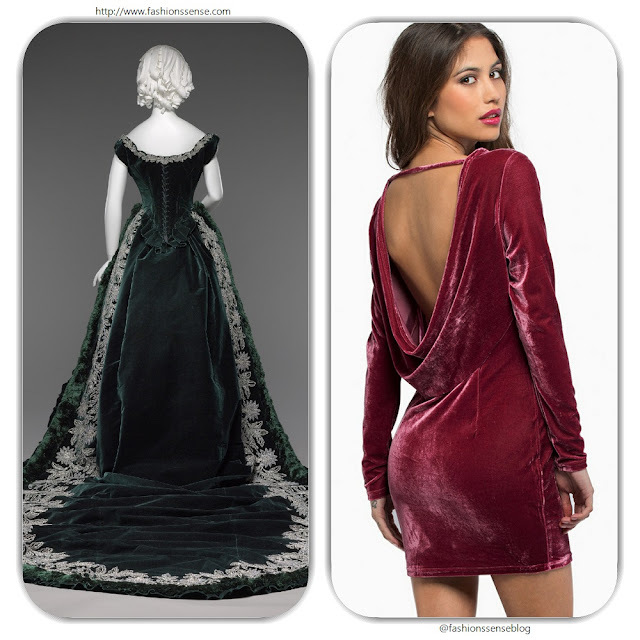 So to help people from falling for such trickery let me give you a brief, easily verifiable way to tell the difference between velvet and velour. Velvet and Velour both have a plush finish. Since there is cheaply made velvet (aka velveteen) and some expensive velour around, I can understand the confusion. You see a plush finish that looks velvety so why not think it is velvet? The easiest way to tell velvet from velour is to look at the back of the fabric. Velvet is a woven fabric with raised threads that create the pile or plush finish. Velour is a knit and is often made from cotton or polyester or a combination of the two. So if that velvet you have your eye is stretchy? Honey you are not dealing with velvet but with velour. I will say this, if you want to delve deeper into the world of velvet and velour do not look for Wikipedia to help. It has it wrong, especially where velour is concerned. Look for a sewing magazine or go to the library and check out a textile book to find more details about two fabrics including the various types of velvet.